If you're looking for something other than chocolate to buy a child this Easter, then why not consider something that might have a chance of lasting a little longer than the time it takes for them to munch on a chocolate egg? 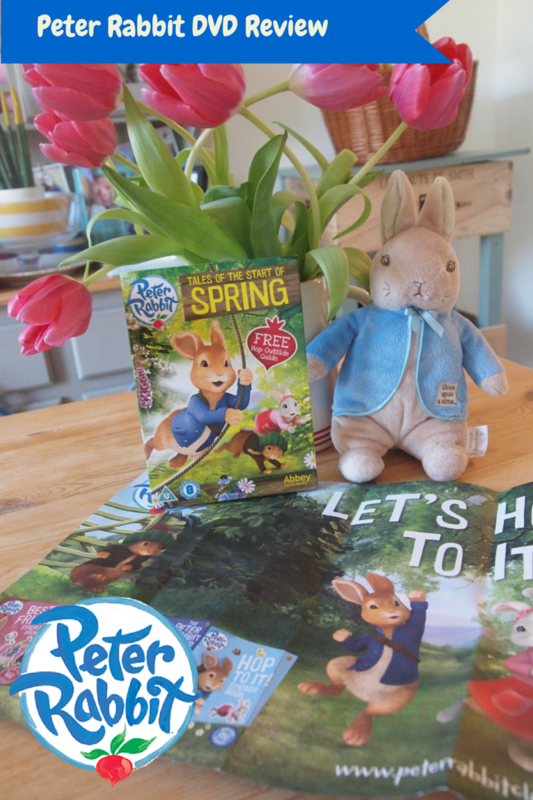 We've been sent the new Peter Rabbit DVD and it really would be the perfect Easter gift! I've loved the Beatrix Potter stories ever since I was tiny: I had the books, the china figurines and money boxes, cuddly toys and my favourite VHS was 'The Tailor of Gloucester' which I used to watch over and over again when I was small. So I was excited to share some of her much-loved characters with Bert. 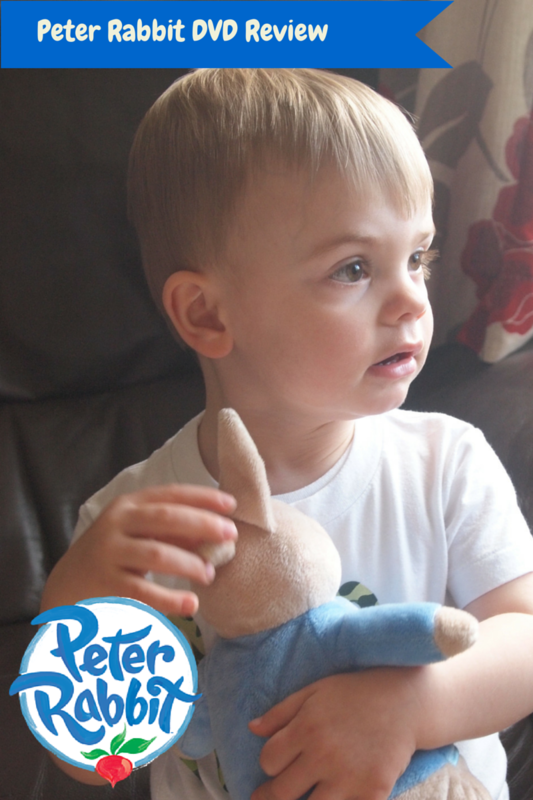 Bert was bought a gorgeous cuddly Peter Rabbit when he was born from his auntie Susie (my best friend), and he loves to get his Peter out and cuddle him every time Peter Rabbit is on CBeebies...adorable! 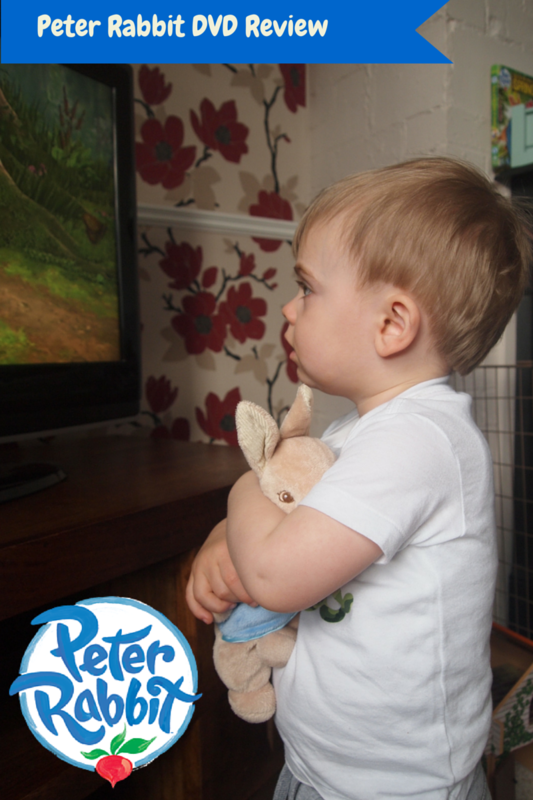 Peter Rabbit cuddles while he watches his new DVD! Beatrix Potter's wonderful stories have charmed and entertained children for generations. Now fans can enjoy brand new adventures of her timeless children's classic Peter Rabbit in the first ever DVD collection of episodes from the new animated series. Bert got really excited when I showed him the DVD - he held the case for ages, studying every detail, before rooting around in his toy box to find his cuddly Peter - then he was ready to watch! 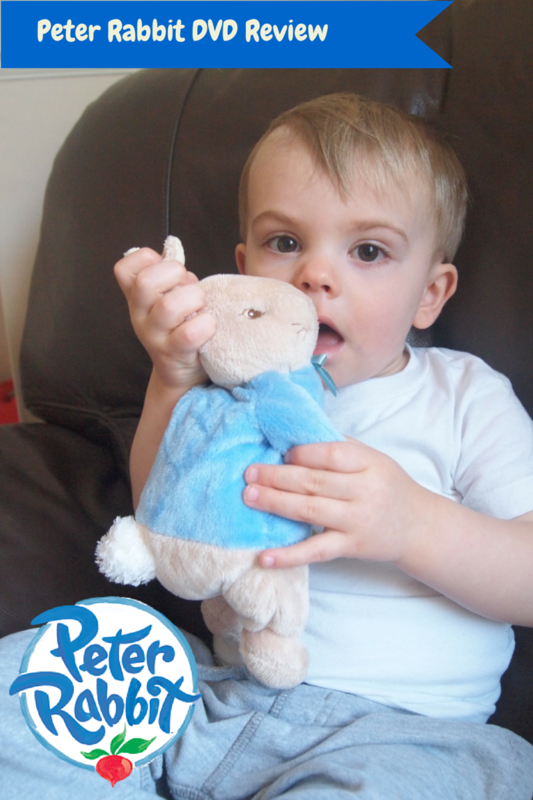 Watching Peter Rabbit - Tales of the Start of Spring, with his cuddly buddy! With a taste for radishes and a thirst for adventure Peter Rabbit is the lovable and extraordinary friend you longed to hang out with when you were a child. But when then chips are down and danger lurks, there's no better friend to have around than Peter and his boundless courage, which always sees him through. Peter has infectious enthusiasm for life and is also an irrepressible optimist. He is cool under pressure and his quick-witted mind is as nimble as his super-fast legs. This enchanting collection features a free Hop Outside insert with outdoor activities for little ones and over 100 minutes of adventure to treasure including the special 22 minute episode 'The Tale of the Start of Spring'. The DVD also features 'The Tale of the Raddish Robbers', 'The Tale of the Secret Treehouse', 'The Tale of the Dash in the Dark', The Tale of the Broken Bed', 'The Tale of Benjamin's New Map', 'The Tale of The Terrible Trap' and 'The Tale of the Peekaboo Rabbits'. You can buy the DVD on Amazon for just £6.00 - that's about the same price as a decent sized Easter Egg, and will bring joy for a lot longer than a bit of chocolate! If you'd like to be in with a chance of winning your own copy of Peter Rabbit - Tales of the Start of Spring DVD then use the Gleam App below! Disclaimer: We were sent one copy of this DVD for the purpose of this review. All words and opinions are my own. All images are my own except the Peter Rabbit logo & DVD Cover. Trying to remember which stories I liked when I was younger. I always got scared as to whether Peter Rabbit would escape from Mr McGregor's garden. I also really loved Mrs Tiggywinkle. If you're ever in the Lakes there is a whole museum to Beatrix and her characters. We spent ages in there and hopefully one day we'll take Jaxon to see the museum. 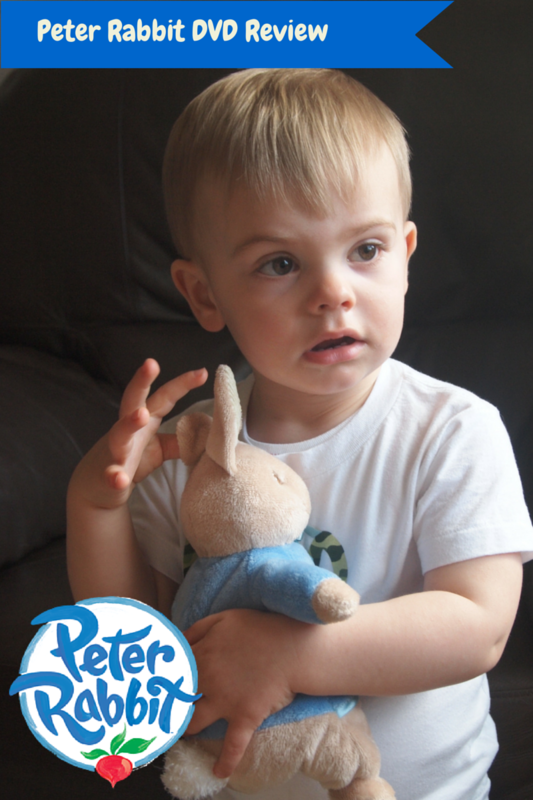 I like peter rabbit best! i love Samuel Whiskers - my daughter loves him so much!